As the leader in digital loyalty, we know simplicity makes everyone happy. And when your customers are happy, you're happy. WE LOVE MAKING YOUR CUSTOMERS SMILE. PLUMREWARD IS DESIGNED AND PROVEN TO HELP YOU CREATE GREAT CUSTOMER ENGAGEMENT. Drive more revenue and engagement with digital loyalty. Our proven platform puts loyalty to work for your business. Our commitment to ease of use for you and your customers is why we continue stand out as a leader in digital loyalty. Our allegiance to independence puts customers in control over their private information which increases participation. No Smart Phone, App Or Other Downloaded Token Required. Enrollment is built around the customer's mobile phone number and text messages are used to send offers. Coupon codes are unique and track-able to the customer. Redemption can be single-use or multi-use per customer. Customers can access their account online. 24/7 customer service. No contracts! No more paper, no more plastic...PlumReward makes loyalty simple for your customers through our unique digital tracking system. No complicated integrations, no messy wires. Our system is neat and simple yet delivers powerful results. Don't confuse your customers or make them work hard to engage with your brand. Make each offer unique to your business. Our system is designed to track each offer individually giving you maximum results. Customers can record their visit in less than 10 seconds without sharing their phone number with staff. Your offers are delivered by text message which has a 98% customer open rate. Our technology is battle-tested and proven to greatly reduce fraud. Put our 8 years of industry experience to the test. Let our system do the heavy lifting. Target frequent or non-frequent guests. Create customer groups. View campaign results in real-time! We've signed up nearly 160,000 members in just over 3 months across our 43 locations. This program is incredible! PlumReward allows us to set up coupon campaigns based on our needs and how we want to drive sales, the redemption rate is consistently in double digits and we can track what promotions were the most effective for us. One Stop Nutrition chose PlumReward because of its efficiency, speed, and highly effective method of rewarding our customers. 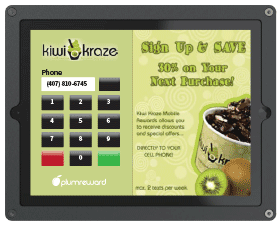 We trust PlumReward to create custom loyalty campaigns that evolve as our franchise continues to grow! 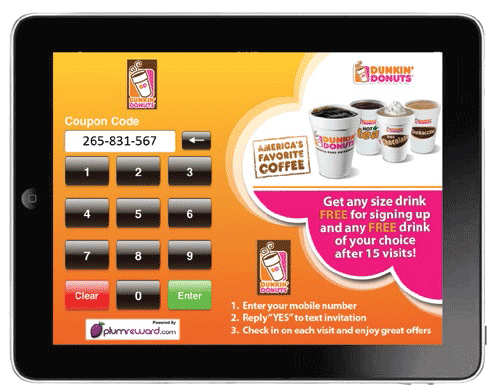 Simply put, we want to be your digital loyalty solution. It's easy to get started. Fill out the form below and a loyalty consultant for your type of business will be in touch within 24 hours. Thank you for contacting us. Someone will be in touch with your shortly!